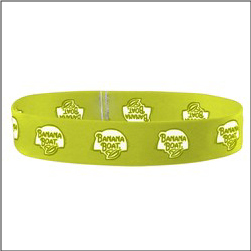 Order imprinted Custom Stretchy Headbands – great for events such as races, school and booster support fundraisers, team support, & competitive race challenges. Offered by SnugZ USA and a QCA accredited company. Made in USA. Approx 1inch x 18inches. 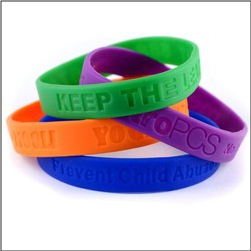 Order your custom comfort stretch elastic headbands today! 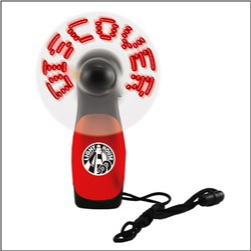 Order Custom Lighted Message Fans – perfect for booster clubs, fundraising events, trade shows and conventions, school events and fairs, and more. 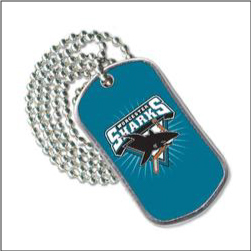 Pre program 6 different message and 18 characters each – Great bright LED colors with a convenient breakaway necklace. 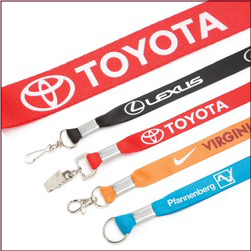 Great for races, sporting events, and available in black, blue, red, silver, etc. Order your lighted message fans today! 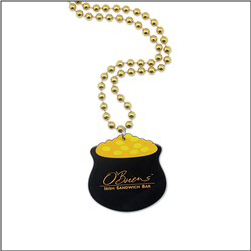 These beads are a great addition to Mardi Gras events and parades, parties, and more. Imprinted decals full color (4) make these great Mardi Gras promotional handouts and giveaway items. 10 different colors of beads available and over 30 shape medallions. 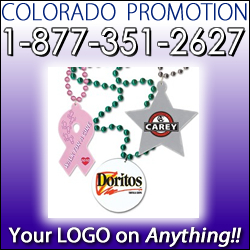 Order your Mardi Gras style beads today from Colorado Promotion.